Chandigarh, India: Dr. Sarvepalli Radhakrishnan was the first Vice President and second President of India. He was an ideal teacher, great philosopher, and Hindu thinker. Due to his superior qualities, the Government of India honored him with the "Bharat Ratna", the highest honor of the country in the year1954. He was the first person in the country to receive this award. Radhakrishnan's birthday falls on 5th September which is celebrated as "Teacher's Day" throughout the country. Dr. Sarvapalli Radhakrishnan was born on September 5, 1888, in Tirumani village (Madras) in Tamil Nadu in a Brahmin family. His ancestors lived in a village called Sarvapalli, so all the people of Radhakrishnan's family used to surname Sarvapalli before their names. His father's name was 'Sarvapalli Veeraswami' and mother's name was 'Sitamma'. Radhakrishnan had 4 brothers and 1 sister. Radhakrishnan was a meritorious student since his childhood. He went to Christian missionary institution Lutheran Mission School, Tirupati between 1896-1900. He graduated from Madras Christian College, Madras. He passed the graduate examination passed the first division in the art class of 1904. Despite having special qualifications in psychology, history, and mathematics, he had also studied "Bible". He was awarded a scholarship in Christian College. In 1916, Radhakrishnan did MA in Philosophy and he got a job as Assistant Professor of Philosophy at Madras Residency College. Through his writings, the whole world is introduced to Indian philosophy. Due to his knowledge and talent in 1947, Dr. Sarvapalli Radhakrishnan was made a member of the Constituent Assembly. He was made the chairman of several world universities. Pandit Jawaharlal Nehru was going to announce independence on 15 August, but his knowledge was only for Radhakrishnan. He was a non-traditional diplomat. The meeting which lasted late last night, Dr. Radhakrishnan used to take part in the night till 10 o'clock because he had time to sleep. 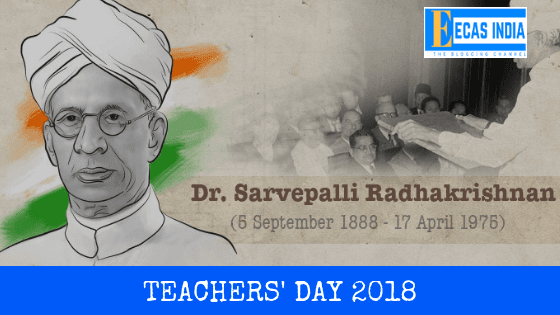 From 1962-1967 Dr. Sarvepalli Radhakrishnan took over as the 2nd President of India. "This is the respect of the philosophy of the world that the great Indian Republic has chosen Dr. Sarvapalli Radhakrishnan as President and I am particularly happy as being a philosopher. Plato had said that philosophers should be kings and the great Indian republic has given true philosophy to Plato by making a philosopher a president "
Any person can get 2 days in the week without any appointments. After becoming India's second president, Dr. Radhakrishnan reached the White House of America with a helicopter. Earlier, no one has reached White House with the helicopter.